deep digging hydraulic cutter suction dredges. Cutting edge Automation, Data-Logging capabilities, and options for the most discerning and tech savvy operations including GPS, Remote Operation control, as well as accurate Production tracking and reporting are all available automation options. Almost all of Custom Dredge Works dredge controls and functions have built-in intentional redundancy. In the event of a computer system or controls failure you can most likely still operate using manual or redundant controls. Cutterhead, ChainLadder, Straight Suction, Jet Assist, Fixed-Ladder, Swinging-Ladder, UnderWater Pumps, Spuds, …..and much more! Our charter commitment and devotion is to custom design, engineer, and build your Dredge bow to stern guided by your unique requirements. At Custom Dredge Works, we begin every build by completing an exhaustive analysis of your unique environment, obstacles, production objectives, and preferences balanced against your investment budget to develop a tailored design. The right tool for the right job. Though you surely may find a solution that costs less, or a dredge that boasts more bells and whistles, experience has shown that inexpensive usually leads to production issues in the field and complicated technology and gadgets can translate into unscheduled shutdowns with long wait times for parts and trained repair technicians. In addition, it is common for many of our competitors to employ proprietary parts and components, which require long-term allegiance. This approach typically results in costlier and time consuming repair and maintenance issues. At Custom Dredge Works we’ll build you the dredge you would build for yourself. quality that exceed the sum total of their individual points of excellence. 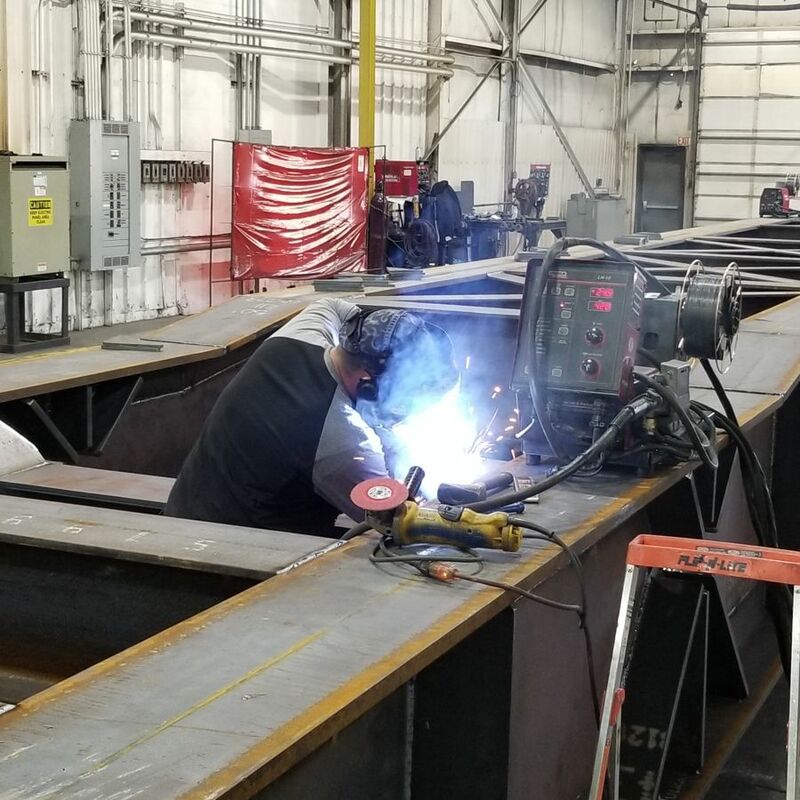 Custom Dredge Works brings 40-years of hands on metal fabrication experience and 20-years of dredge design expertise to building world class dredges. We are focused exclusively on manufacturing the highest quality custom dredge solutions possible. With a sizable fleet of cutter suction dredges built and in operation, Custom Dredge Works has emerged as the premier manufacturer of hydraulic cutter suction dredges. Our growth and success comes from you, our customer, and is earned by delivering a dredge that exceeds expectation for both quality, performance and budget. 1. “Built like a tank” Construction: Solid, heavy duty. Extra internal supports, reinforcements, trusses, double and overlapping welds and joints. Socket welds on all hydraulic lines. Rigid quality control inspections and scrutiny. Skilled craftsmen, utilizing the latest fabrication technology. 2. Longevity: Maintained properly, our dredges are designed and built to provide a productive functional lifespan of up to 40 years. 3. Accurate and Predictable Production Capability: Our dredges are very carefully custom designed for each client and application. 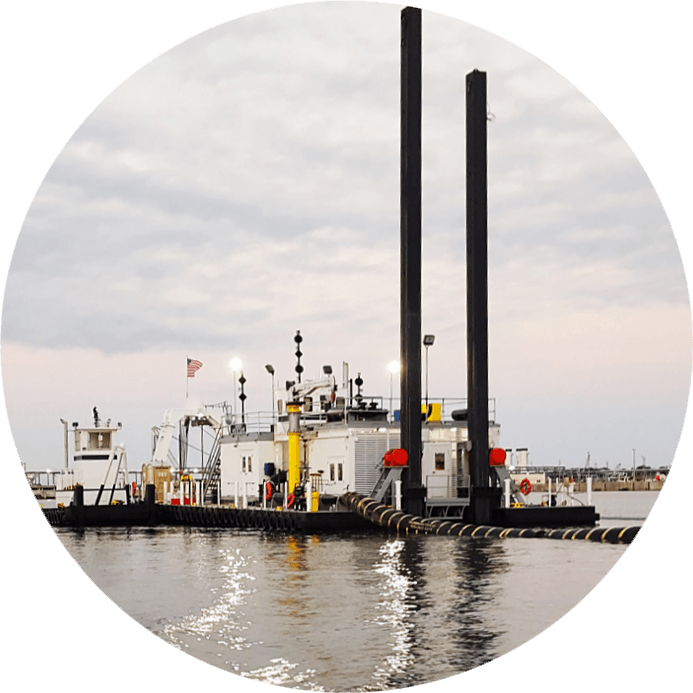 If the site composition was accurately described, and the dredge Operator is competent, our dredges will consistently perform at or beyond the desired metrics. 4. Minimize Unscheduled Shutdowns: Since time is quite literally money in the world of Dredging, unscheduled shutdowns must be minimized with the length of each occurrence shortened as much as possible. After years of trial & error and common-sense analysis, consistent patterns have emerged as to why unscheduled shutdowns occur. Based on these patterns, our goal is to anticipate, avoid, and shorten shutdowns employing key strategies. 5. Use only “Best-in-Class” O.E.M. off-the-shelf parts: This allows for quick and easy access to local parts dealers in most locations for fast self-maintenance or local certified repairs. The specific OEM brand components used in your customized dredge are determined by you and aligned with your preferences. 6. 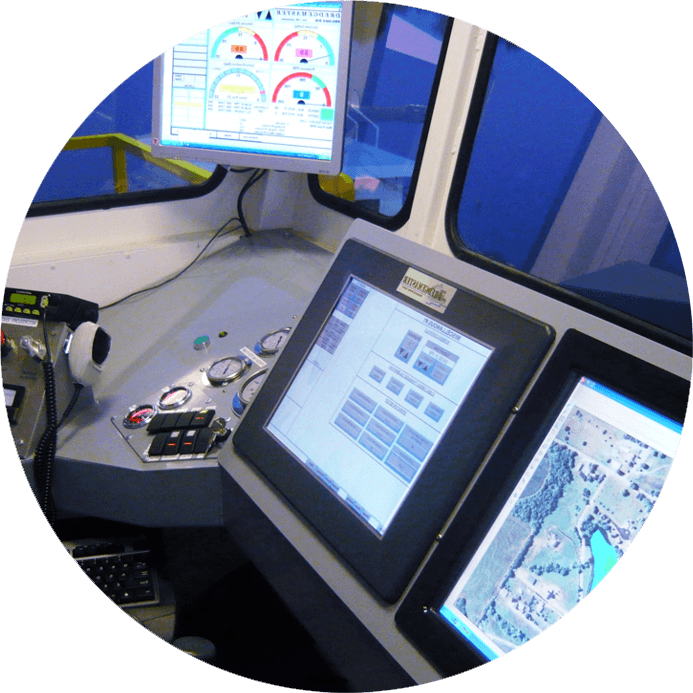 Utilization of high quality electronic controls: The dredge must be able to operate in the event of a electronic failure. The dredge control systems can operate independent of the PLC or computer control. 7. Redundant non-electric hydraulic controls: Insures continued operation in the event of a PLC or electrical failure. 8. Install only Stainless Steel Hydraulic fluid tanks: Avoids the residue pollutants produced by tank coatings, which inevitably corrupt all hydraulic systems. 9. Back-Up Gearbox Replacement Program: CDW stocks its standard gearboxes, in the event a replacement must be immediately available. CDW can ship new or offer a remanufactured alternative at a more economical cost. 10. Fast deployment of replacement parts: Parts and service crews can be dispatched for emergency projects at a moments notice. 11. Support: Immediate expert telephone support and troubleshooting. Each power source provides advantages and disadvantages. Custom Dredge Works will work closely with you to determine the best power source solution for your operation commensurate with initial Costs, Fuel costs, Maintenance, Ecological impact, Transportability, Noise reduction, Liability, ease of Operation, and Resale Value. 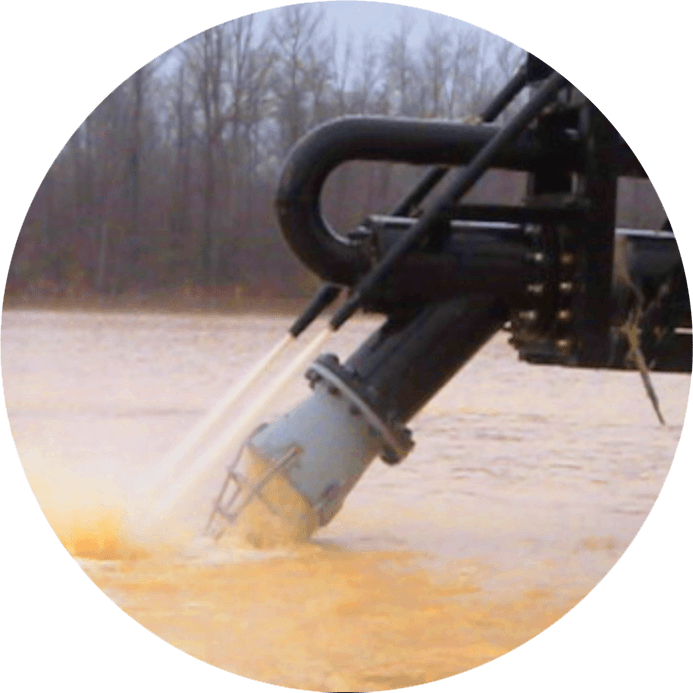 Custom Dredge Works is the industry’s premier engineer and manufacturer of Electric Powered dredges. To view more in-depth information about our electric dredges, please click ELECTRIC. Custom Dredge Works can help you cut operating costs by switching to electric power. 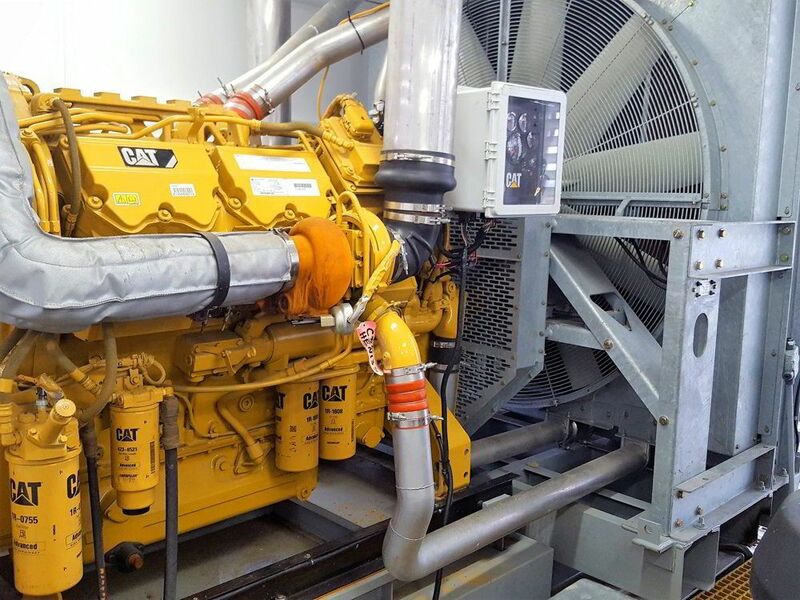 Converting your diesel dredge and booster pumps to electrical operation can provide a considerable operating cost advantage compared to diesel while improving production output! Due to Tier 4 requirements, the initial cost advantage of diesel engines over electric motors is almost gone. The new Federal Tier 4 Final diesel engine requirements, which go fully into effect in 2017, translate to much more expensive diesel engines then all preceding engine models. This increased cost of Tier 4 compliant engines virtually eliminates any cost advantage of diesel engines over electric motors. As of 2017, due to EPA Tier 4 Final requirements, the total cost of a new Electric Powered Dredge is now equal to, or less than, the total cost of a new Diesel Powered Dredge. 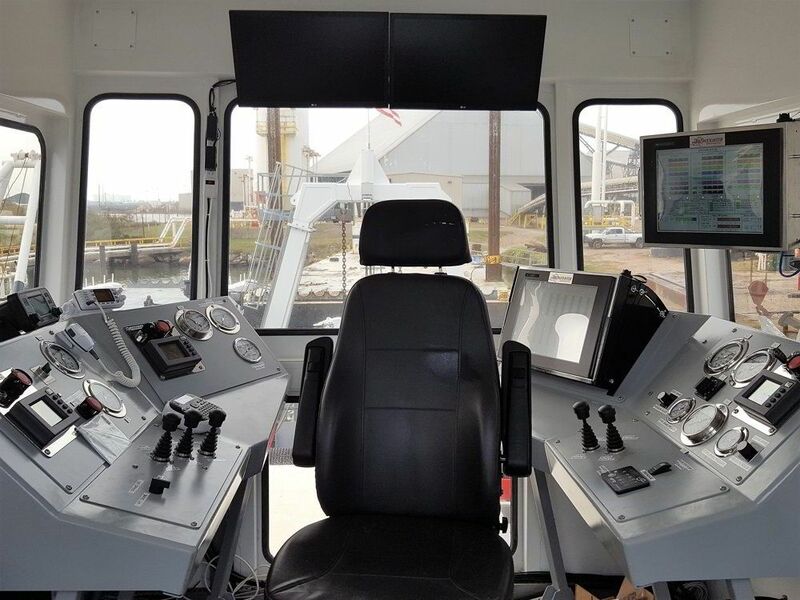 If your new dredge will be operating in a single location for an extended period of time, and if electric power can be acquired at the site, then the case for an electric dredge is simply overwhelming and without question. This is especially true when the actual costs of maintaining and fueling a diesel engine are taken into consideration. Contact the crew at CDW for an analysis on how electric power can save money in your specific operation. Custom Dredge Works is the only dredge manufacturer to reliably offer Natural Gas powered dredges. If you are fortunate enough to have access to a plentiful and inexpensive supply of Natural Gas close to you we recommend that you give serious consideration to Natural Gas to power your dredge. Natural Gas is very clean and can provide tremendous fuel savings. Natural gas, the cleanest fossil fuel, is a highly efficient form of energy. It is composed chiefly of methane; the simple chemical composition of natural gas is a molecule of one carbon atom and four hydrogen atoms (CH4). When methane is burned completely, the principal products of combustion are carbon dioxide and water vapor. Natural gas advantages over other fuels include the following: it has fewer impurities, it is less chemically complex, and its combustion generally results in less pollution. In most applications, using natural gas produces less of the following substances than oil or coal: carbon dioxide (CO2), which is the primary greenhouse gas; sulfur dioxide, which is the primary precursor of acid rain; nitrogen oxides, which is the primary precursor of smog; and particulate matter, which can affect health and visibility. Technological progress allows cleaner energy production than ever for all fuels, although the inherent cleanliness of gas means that environmental controls on gas equipment, if required, tend to be far less expensive than those for other fuels. 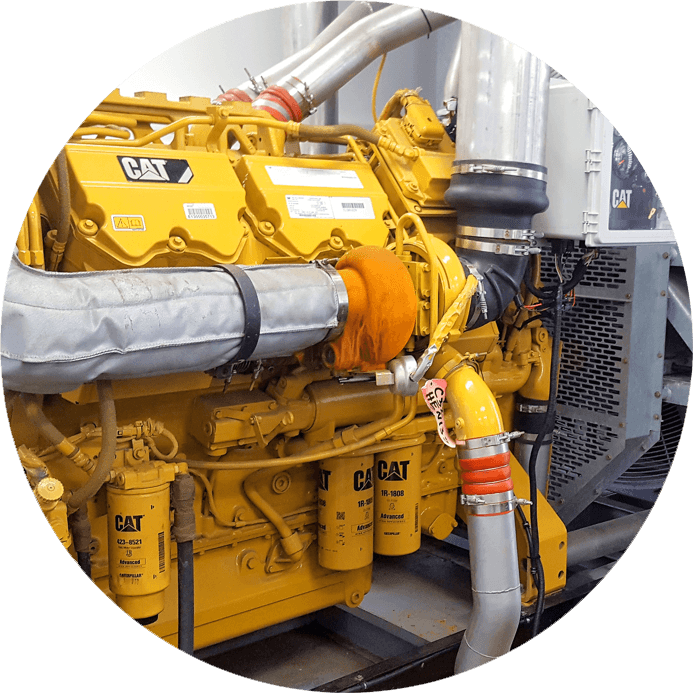 We recommend Caterpillar diesel engines to our clients due to the availability of replacement parts and serviceability of CAT® engines via Caterpillar Dealerships and Certified Repair shops in most locations around the globe. However, we are Custom Dredge Works, which means that “you can have it your way”. We are a licensed Value Added Reseller for Caterpillar, Detroit Diesel, and most major diesel engine manufacturers.